Andy Winter who plays keyboards for Winds, Age of Silence, Sculptured and Subterranean Masquerade is one of the most talented and creative musicians you can find. He was one of my first ever interviews when I started writing for Metal Reviews and I still remember the experience. The fact that there has been no Winds album since 2007 Prominence and Demise is criminal. It is perhaps because all other bands Andy participated in are on hold, he has another solo album issued recently on The End Records. Ever since we conducted that interview I wanted to get Andy’s first solo EP Shades of Light Through Black and White. A single instrumental composition – I wanted to see what an imaginative piano player can create, something my parents long ago I hoped I would turn into (but their dreams failed miserably). Alas, the chips would fall that somehow I failed to acquire that EP, so Incomprehensible is my first experience with an Andy Winter solo album. Unlike Shades of Light Through Black and White, Incomprehensible is not just one short instrumental track, it is a series of songs, and all of them are vocalized. When Reversed Psychological Patterns started playing, the inner listener in me seemed to recognize the voice. Could it be Agnete Kirkevaag of Madder Mortem? Could it be that Andy scored her to sing on his album? Then My Illusions Are My Own included familiar male semi-whispers. Familiar, but the one I could not place. As the album unfolded, every track had a new voice, and with it the new experience. Just that pure fact in and of itself was interesting enough to conduct research on Incomprehensible to see who Andy’s collaborators were throughout. Turns out that just about every avant-garde voice on The End Records roster is represented here. Agnete Kirkevaag is indeed the singer on Reversed Psychological Patters, John Haughm (Agalloch) was lullabying next to the intricate percussion and drones on My Illusions Are My Own, and the deep beautiful baritone on Somewhere Else to Disappear is no one other than Dan Swano (bands too numerous to list). Kjetil Nordhuis (Green Carnation), Lars Nedland (Borknagar, Solefald), Heidi Tveitan (Star of Ash, Peccatum and Ihsahn’s significant other), Paul Kuhr (Novembers Doom) and Lars E. Si (Winds) also donated their talents, one per song. Just as vocals on Incomprehensible is a varied experience so is the music itself. The album is anything but simple to listen to or easy to get into. Often set to jazzy and jerky rhythms (Perfection is the Blank Page), the album vacillates between jangly rather dissonant guitars, at times slipping into harsher chug, but mostly staying hazy and meandering. The moments of pure melodies and consonance are very rare, something much unexpected from a person who crafted the unforgettable melodies from Reflections of the I. The combinations of Tiamat sensuality, stoner death rock riffs and out of nowhere Paul Kuhr’s growls (The Transversal Conjecture) are some of the few head-scratching moments to be encountered here. It is if Andy wanted to see how far he can push the weird and dissonant envelope, the endings of Perfection is the Blank Page and Through the Eyes of the Surrealist are prime examples. 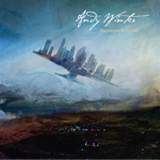 More or less developed, more or less convoluted, these tracks, to borrow the word form Andy himself, are avant-garde surrealism. Listening to Incomprehensible is like standing next to a Dali painting, some see how the lines and shapes make sense and some don’t. My rather earthy and grounded persona often needs an art guide to follow the artist’s logic. As it is, I am alone here with Incomprehensible, and the realist in me (without a sur prefix) can’t just figure all this haziness and lack of clear direction out. Just as much as the 2nd part of Reversed Psychological Patterns and semi-acoustic Somewhere Else to Disappear make sense, the rest of it baffles me. But then the cover art here should be an obvious hint already. Metropolis disconnected, flying at a sideways angle to the horizon plane, this can’t be plain (pun intended). Less grounded and more free-spirited music souls could fare batter and should give this a chance. Don’t pay attention to the quote numbers I am obligated to give here.